When Drama and Turtle visit a Blockbuster hoping to learn what movie Mandy Moore and her ex had returned, they first encounter Isabella Way’s character. 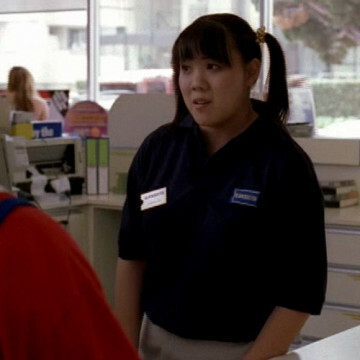 She plays the part of the Blockbuster employee who declines to give them what they’re after. Drama and Turtle have better luck with the next clerk they come across.